When dedicated bibliophiles want to purchase a book, they generally turn to AbeBooks rather than Amazon Marketplace or ebay. 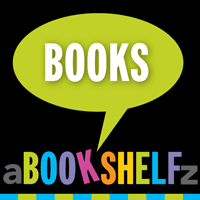 AbeBooks was founded in Victoria, British Columbia, as the Advanced Book Exchange in 1995 by four bibliophiles. The company was acquired by Amazon in 2008. The site lists more than 140 million books from thousands of independent booksellers, many former brick-and-mortar establishments, from more than 50 countries. Each year, AbeBooks publishes the list of the most expensive rare books sold on the site, providing a glimpse into what books have come onto the market and what bibliophiles are willing to pay for their Holy Grails. Despite how high these numbers are, they pale in comparison to the price that bibliophiles pay for exceptionally rare and valuable books that are only sold at auction or through private broker sales. This rare star atlas features 48 beautifully illustrated tables portraying the constellations identified by the Greeks and a 49th table showing 12 newly discovered constellations. Bayer’s book, introducing the Bayer Designation (a new system of designating stars) was the first to cover the entire celestial sphere. With all the hype surrounding James Bond’s 50th anniversary it is not surprising that bibliophiles were on the hunt for a rare inscribed first edition, ready to pay a money — I mean, pretty — penny. The book was published by Jonathan Cape, one of London’s most successful publishers at the time. Bibliophiles value the original German edition of one of Kafka’s most famous novels. AbeBooks notes: “The original German edition is highly sought after because of Kafka’s ability to deliver unexpected impact at the end of his sentences. This effect has been difficult for English translators to replicate so the original German script is essential for Kafka collectors.” This is a short book, 73 pages long, with some ads in the back. Known as the “Poor Man’s Bible” because of its small size (and not its current selling price!) printed by Johann Froben in Basel. This new smaller size, the octavo format, made it easier for the faithful to carry. Before the octavo format, bibles were massive, heavy tomes meant only for home viewing. It is rare to find children’s edition in fine condition — children rarely treat books knowing that one day they will be rare and extremely valuable. This book is a first edition with a dust jacket, both in fine condition, signed by the author. This entry was posted on Wednesday, January 9th, 2013 at 9:25 AM	and tagged with abebooks most expensive sales, most expensive books, rare book sales and posted in Books. You can follow any responses to this entry through the RSS 2.0 feed.